After a failed attempt of creating modules that would communicate through sound, I started looking into Infrared Communication. 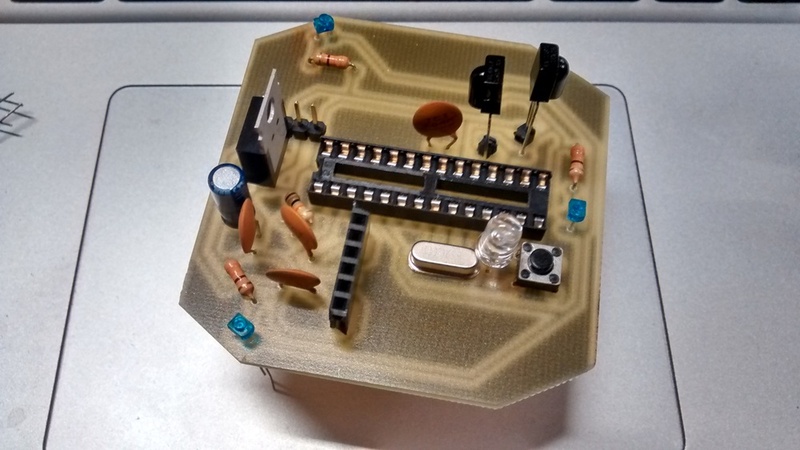 This is a project that looks to experiment with Infrared Communication between various Modules. All modules come from the same design made in Eagle CAD. It is a through-hole board routed with The Other Mill. 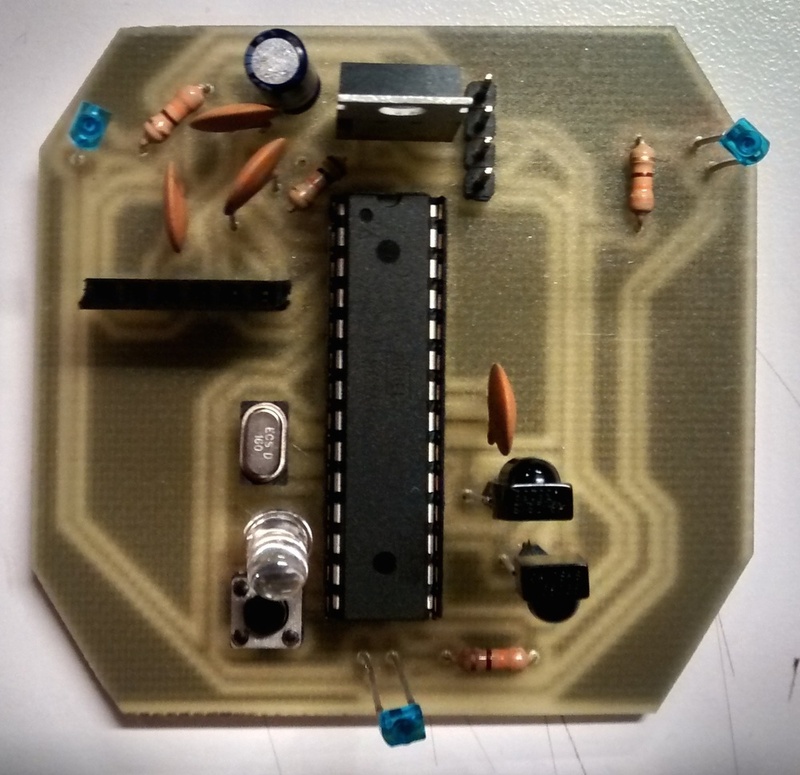 The overall board involves an embedded Arduino (ATMega328), 2 IR-Rx, 3 IR-Tx, a LED and a Push-Button. Modules can transfer the code from any IR Remote and transfer it among their closest peers. 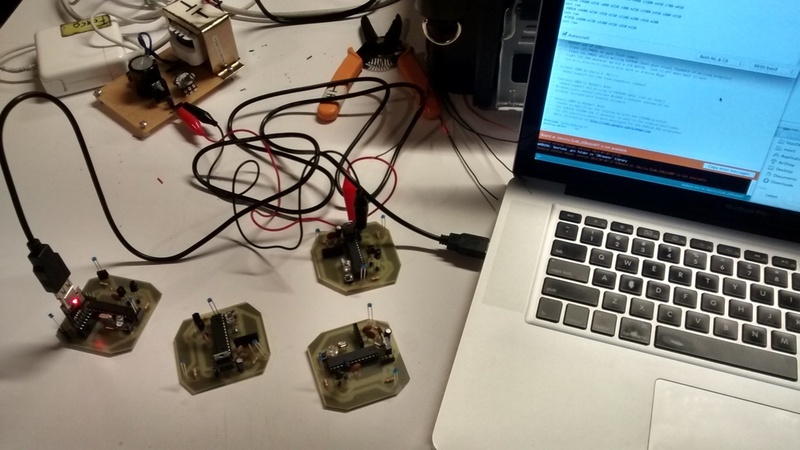 Evaluate power consumption to figure how can they be powered through batteries.